Marriott International has expanded to include 30 of the most desirable and prestigious hotel brands with the addition of the Starwood Hotels & Resorts portfolio. At a time when travellers place even greater emphasis on enriching and personal experiences, they can now choose from the most diverse selection of hotel brands ever. With more than 5,700 hotels and 1.1 million rooms in over 110 countries across the globe, guests now have access to the best hotels and resorts wherever they travel. Marriott International’s portfolio now includes a series of quintessential luxury and lifestyle names. The Ritz-Carlton, St. Regis, Bulgari Hotels & Resorts, JW Marriott, The Luxury Collection, W Hotels and EDITION define a new era of luxury travel, with dynamic brands such as Westin, Renaissance and Autograph Collection occupying an evolving lifestyle category. Premium brands like Marriott Hotels and Sheraton anchor the portfolio and provide a broad array of choices around the world for business and leisure travel. And new, fun, accessible experiences at Moxy Hotels, AC Hotels and Aloft add to the portfolio, ensuring our guests have whatever they want, wherever they are in the world. 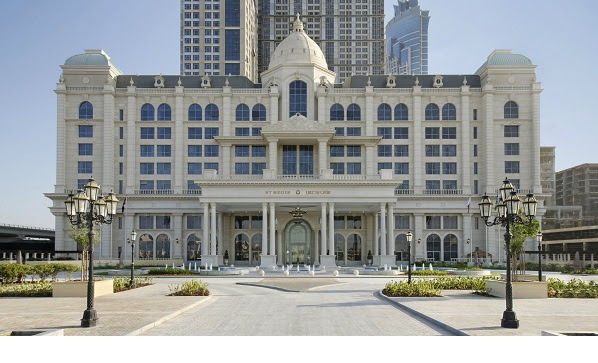 “The marriage of these two leading hotel companies means Marriott will deliver an unparalleled guest experience with more hotels in more global destinations, an unrivalled range of comprehensive accommodations to suit every traveller, and the industry’s best loyalty programs,” said Arne Sorenson, president and chief executive officer of Marriott International. Also starting later today, members of Marriott’s leading loyalty programs, Marriott Rewards – which includes The Ritz-Carlton Rewards – and Starwood Preferred Guest, are invited to link their accounts at members.marriott.com to enjoy the benefits, recognition and experiences each program has to offer. Members will have their status matched across programs and be able to transfer and redeem points across programs for travel to more destinations than ever before. Members who link their accounts will be able to transfer points at a three-to-one ratio (three Marriott Rewards points = one SPG Starpoint) between the programs for redemption stays or on the Marriott Rewards Experiences Marketplace or SPG’s Moments platform. “Marriott’s and Starwood’s guests have shown tremendous loyalty to our brands and now that we are one company, we are seizing the opportunity to reinforce our loyalty to them,” said Stephanie Linnartz, executive vice president and global chief commercial officer.